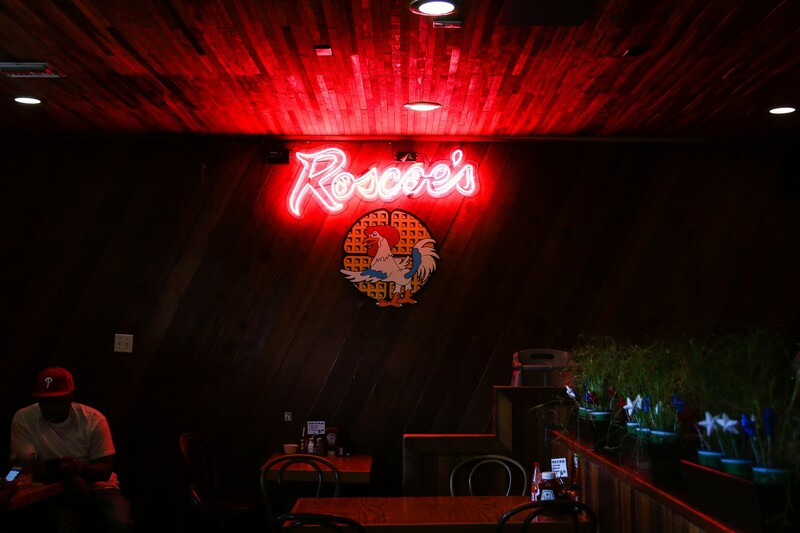 Roscoe’s Chicken and Waffles is a spot that I’d heard of long before even visiting Los Angeles for the first time. And yet, years and years into living here, I had still never actually gone and had a meal. Well, then that all changed. In fact, everything may have changed. Because holy Lord, was that good. There’s no denying, this place is a scene. But it’s a scene like Chuck-E-Cheese was when you were 10—“OF COURSE IT’S A SCENE HAVE YOU SEEN HOW MUCH COOL SH*T IS IN HERE? !” Crispy fried chicken, waffles for lunch, and a drink menu that reads like a variety pack of Capri-Sun, this place has everything the young, and the young-at-heart, desire. And for soul food fans, this place has you covered. A surprisingly light version of mac-n-cheese and a not-surprisingly heavy version of rice and gravy that will keep you full for days. Add this all in with impressively fast service (at least, given the crowds) and extremely reasonable prices, Roscoe’s has 100% earned its fame. Have visitors in town who want to eat somewhere classically LA? Go with Roscoe’s. Your stomach, wallet, and friends will all thank you. Without question, this is some of the best fried chicken in Hollywood. The perfect mix of super crunchy skin with perfectly juicy meat. I’d make a meal out of just this if the sides weren’t so good. While we might not just eat these on their own, they are an essential (and solid) part of the chicken and waffles combo. The chicken is the star and these are happy to sit back and let the chicken do its thing. This is a brick in your stomach and is oh-so-tasty. Not to mention cheap. A perfect filler if you can’t stomach 3 lbs. of fried chicken. Nothing mind-blowing, but a good, fairly light version of mac n' cheese. The cooks here obviously realize that the crunchy bits make a mac n cheese, and they don’t skimp. Anzu is a tiny window just off Sawtelle where you should be going for excellent Japanese fried chicken.